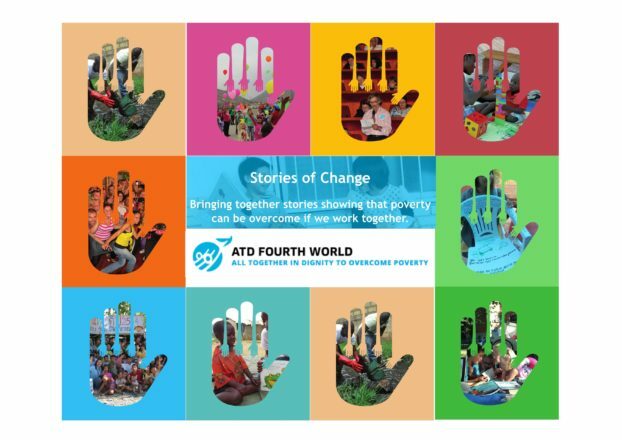 This e-book presents stories that show poverty can be overcome if we work together. It provides a positive message in contrast to the often continuous stream of negative news that leaves many people feeling discouraged and powerless. These stories show the benefit of working together for change. They are stories of people who were excluded from finding their place in society and contributing to building a better world. They are not just personal stories, but stories of people from a variety of backgrounds and generations who supported each other towards a common goal and made concrete progress or brought about positive change. This e-book contains stories of change from different countries of south-east Europe (Bulgaria, Croatia, Hungary, Macedonia, Romania, Serbia) and from other parts of the world. The stories show the courage, the resistance, the dignity, and the pride of people living in poverty or of people struggling with them, so as to inspire others. No one should be alone. Many other persons and groups are taking initiatives and carrying out actions against poverty. They want to ensure that the contribution of those who are most excluded are heard and recognized. Other stories are being written and more need to be told. This e-book is also available in Bulgarian, Hungarian, Romanian and French.